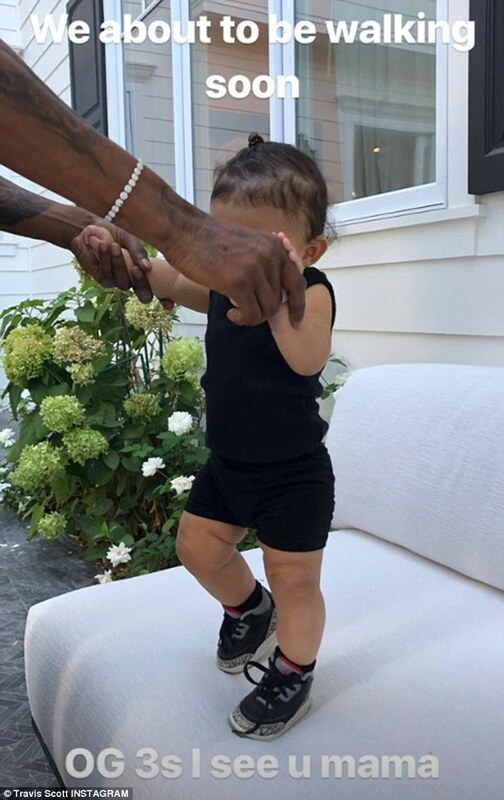 She’s a multimillionaire makeup mogul who has it all, including a hit reality TV series and a brand new baby girl. 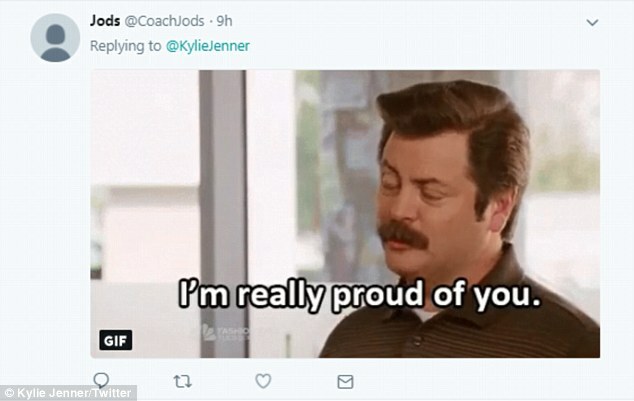 And now Kylie Jenner, 21, even has a cow named after her, with a Californian dairy farmer dubbing one of his newborn bovines ‘Kylie’ in her honor. 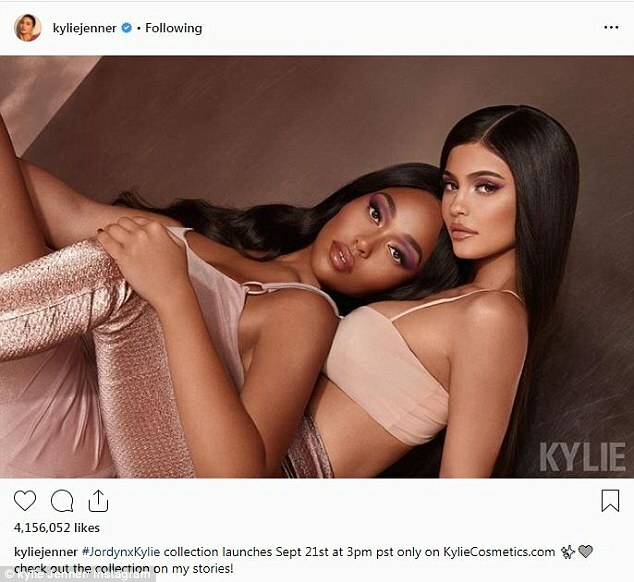 The move was in recognition of the Kylie Cosmetics founder’s revelation she recently tried adding milk to her cereal for the first time. 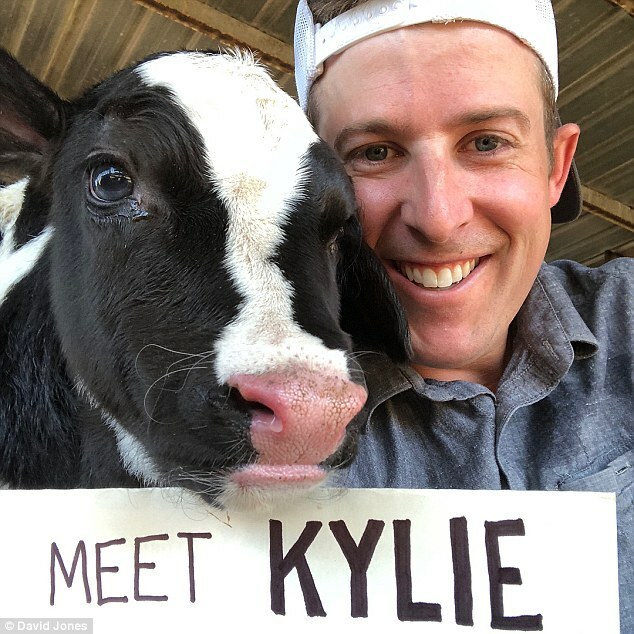 Dairy farmer David Jones took to Instagram on Thursday to announce the naming of the black and white calf. 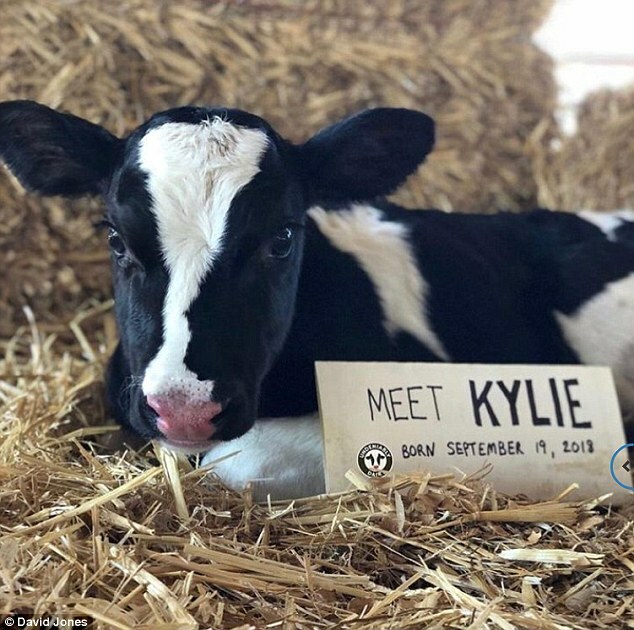 ‘Meet Kylie, born 9/19/18 – named this gorgeous calf in honor of @kyliejenner’s life-changing milk-and-cereal revelation,’ he captioned the post. 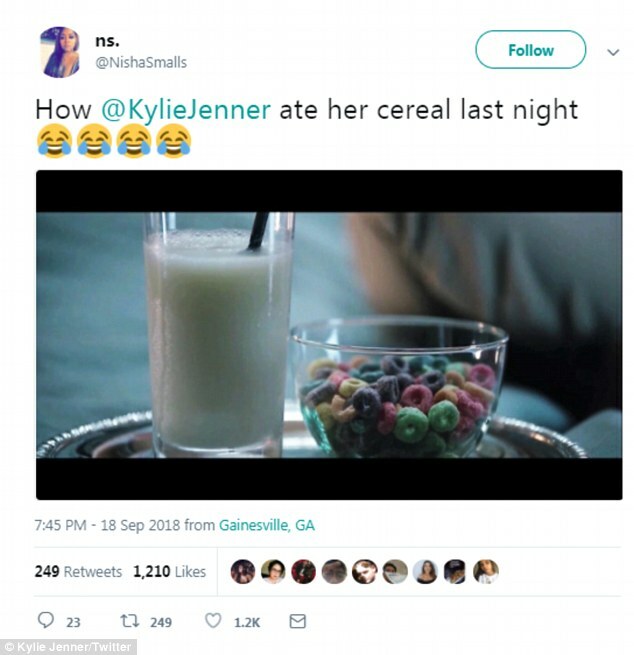 Kylie Jenner has only just tried cereal with milk for the very first time. 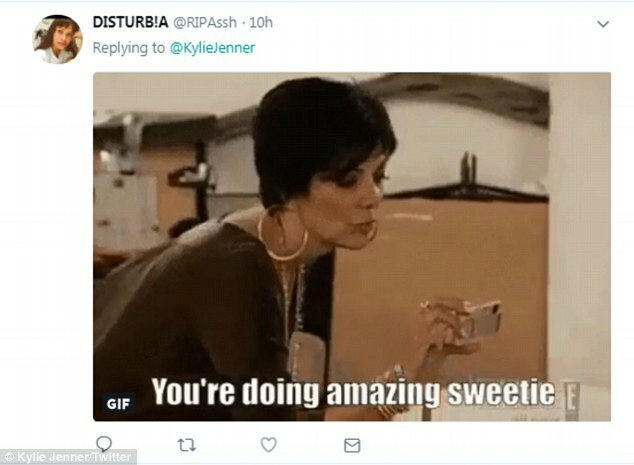 The Keeping Up With The Kardashians star baffled the internet on Tuesday night when she confessed that she’s never felt the desire to pour milk on her cereal because she doesn’t like a ‘soggy’ breakfast. 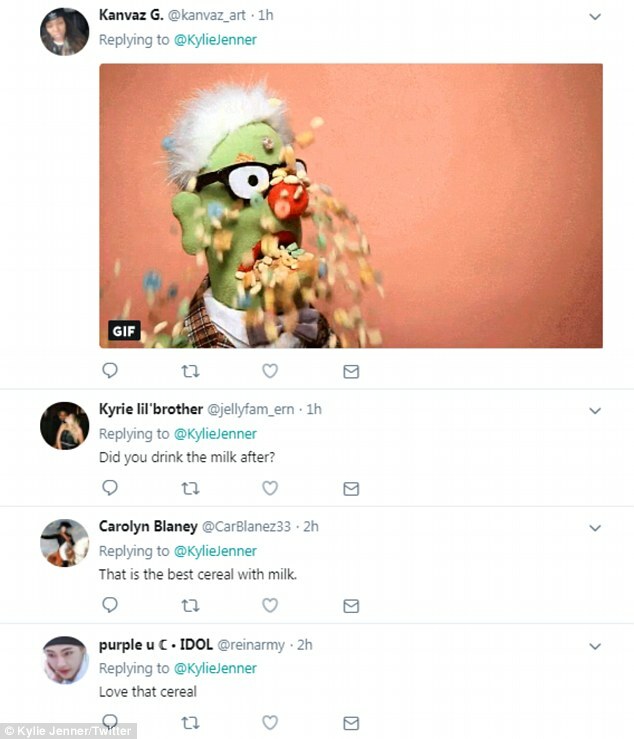 The businesswoman then took to her Snapchat account to explain her reason for only trying cereal with milk now and what made her decide to bite the bullet. 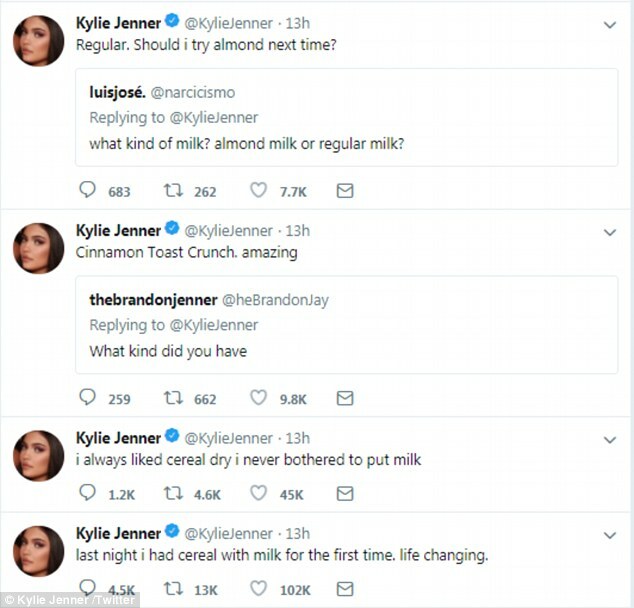 She explained: ‘So I think people were a little confused when I tweeted that last night was the first time that I ever tried milk with my cereal. ‘That is a fact. Everyone has their personal preference, I never preferred soggy cereal. 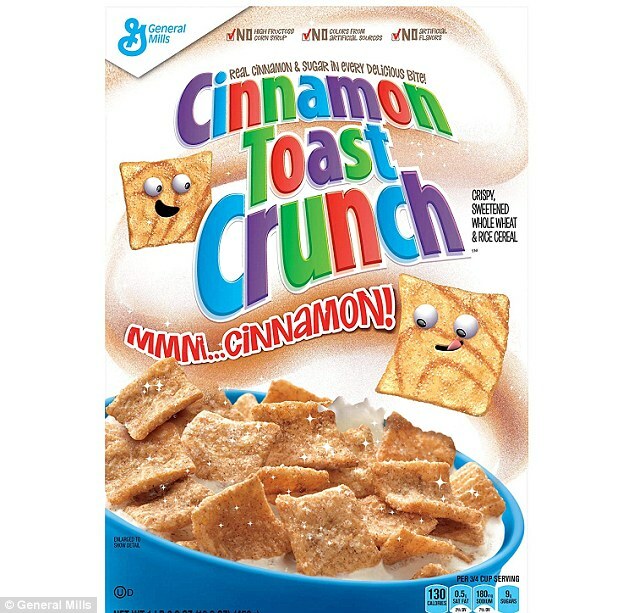 I just really enjoyed my dry, crunchy cereal, and I know there are other people out there that agreed with me. However, the brunette beauty still isn’t completely sold on the idea. 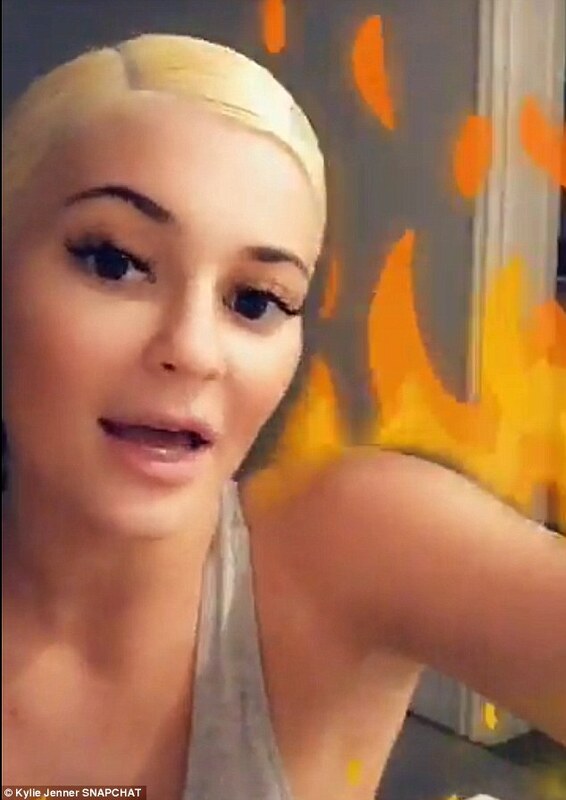 Fans had a lot to say about her experience. The memes included men in prison shaking their head and a man with a wig looking exasperated.